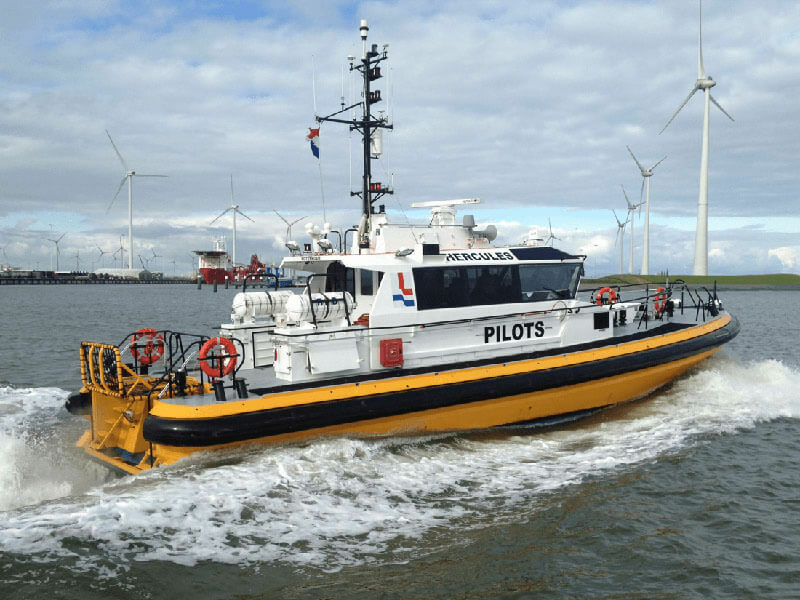 Conversion can make a already good Utility vessel into an extra asset for your company and workflow. For example, the salmon farms are located in the most north-easterly part of Scotland in an area that is notorious for its severe weather. The Beinn Mhor and Beinn On of the latest Conversion projects is the Scorabhaig. 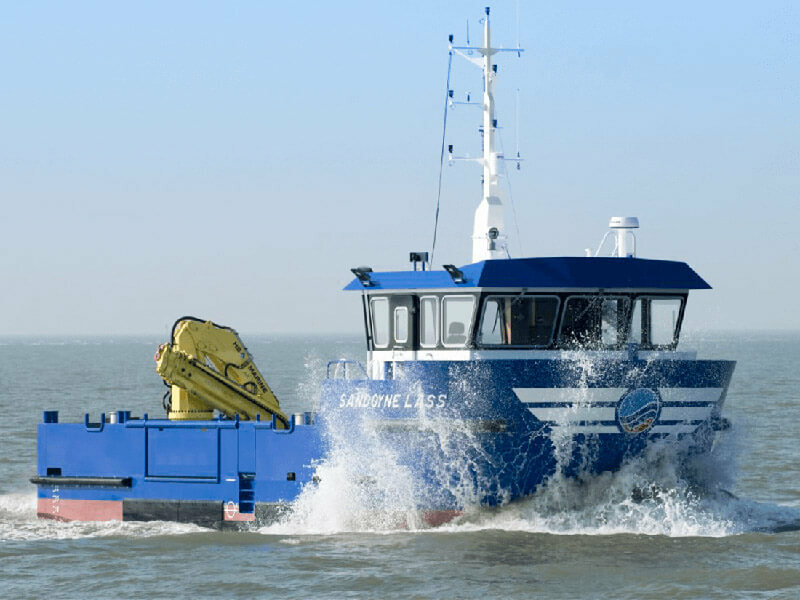 They are designed to be robust and seaworthy vessels with stable handling characteristics on the open ocean. A notable feature is that their hulls and decks above the waterline are zinc spray metallised, providing the steel with a corrosion-resistant layer. This makes the hull more durable for heavy duty use, and it will not rust as easily in the event of damage to the paint system. The normal paint system is applied over the corrosion-resistant layer. 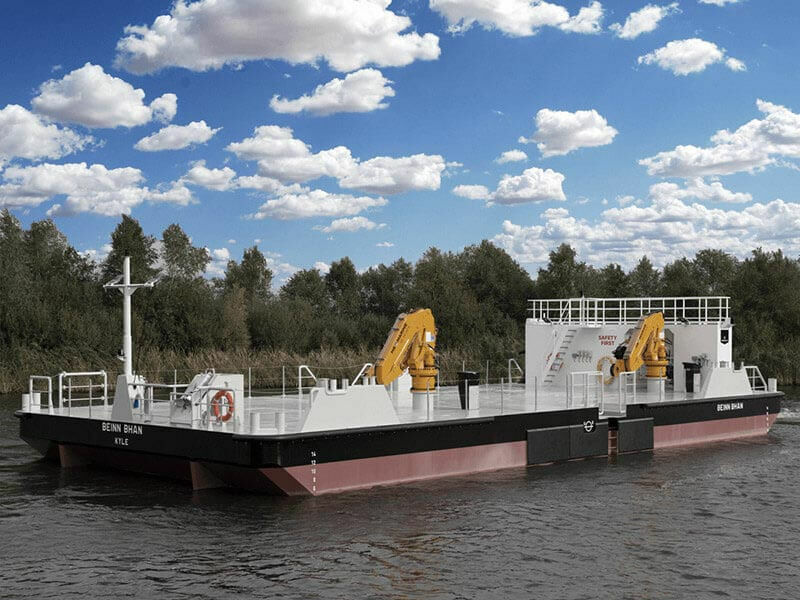 The ship is equipped with two hydraulic capstans on the starboard side and a hydraulic HS Marine AK30 HE4 crane on the aft, with a lifting capacity of 3855 kg at 5.23 m and 1080 kg at 13.16 m.